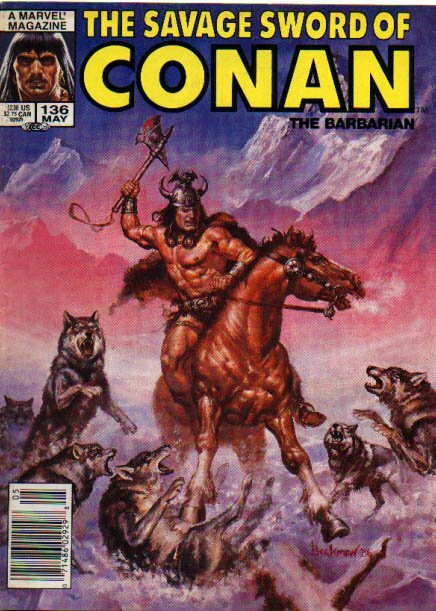 Click Here To See The Savage Sword Of Conan #136 Magazine! Check out this very nice Savage Sword Of Conan cover Painting which was created entirely by the great Doug Beekman, from the story titled: "The Seventh Isle Of Doom!" 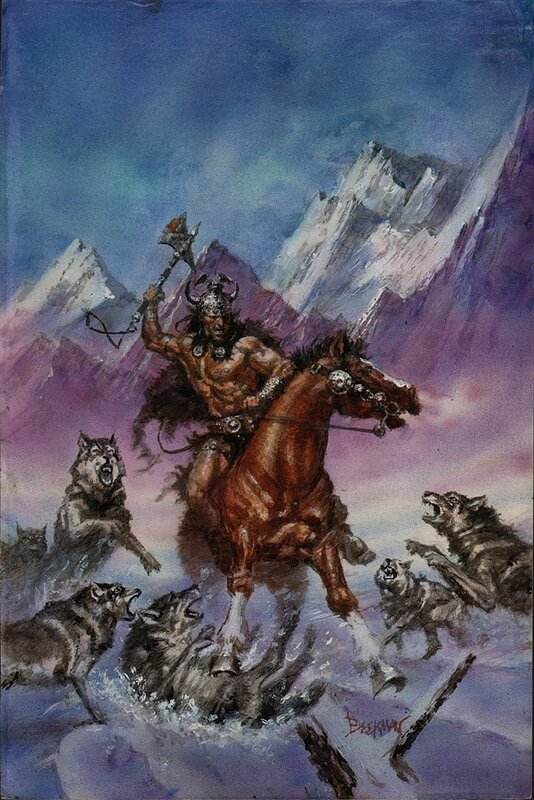 This nice cover painting, which features Conan on a horse while battling 6 fanged wolves in the snow, has an actual painted area measuring 10 by 15 inches, was not the final published painting, but it very well could have been! Doug Beekman would draw a smaller painting before his final version so he had the technique and perspective exactly how he wanted it. Painting is signed also by the great Doug Beekman at the bottom. Compare this beautiful painting to the published magazine in the red link above to see how truly detailed this artwork is, and how close it looks to the published magazine. WOW!